Expired 2mo ago . Last validated 5mo ago . Used 6 times. Josefina This deal was verified and it is working as described. 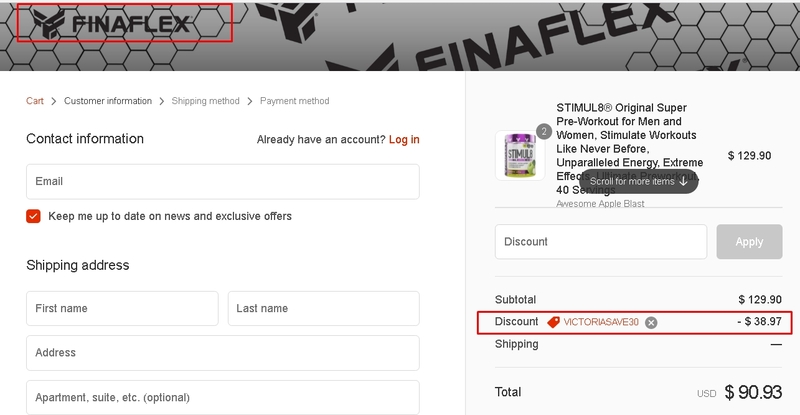 Select the items and enter the promo code <victoriasave30> at checkout to get 30% off your next order at FINAFLEX. Teodomiro This deal works as described. 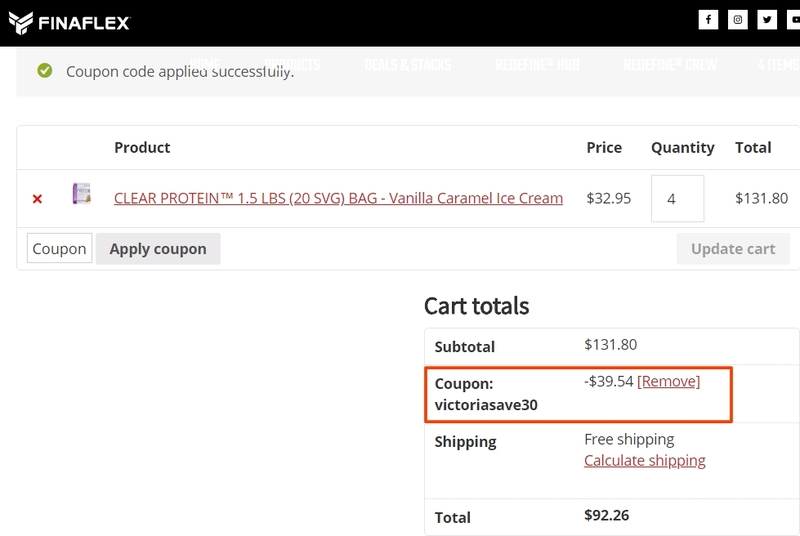 Go to the web site, add your item to cart, proceed to checkout, enter promo code <victoriasave30> and get 30% off your next order at FINAFLEX. Mariangel Gomez I'm validating that this deals works as described. Go to FINAFLEX, add the item to your shopping cart. Enter promo code and save 30% discount site-wide. 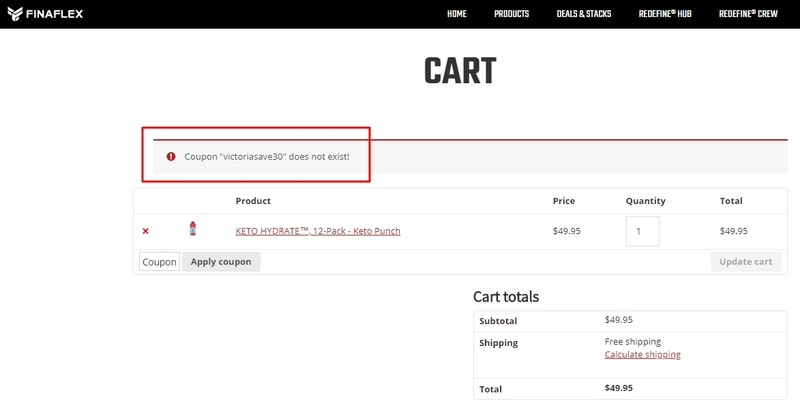 Jose I tested this deal <victoriasave30> and it no worked as described. Juan Andres Salazar Simply enter the code <victoriasave30> in the promo code box when checking out to get 30% off your next order at FINAFLEX. This is a limited time offer. Certain conditions may apply.